Welcome back to our blog! 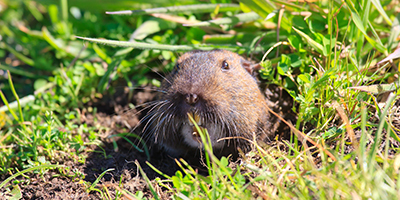 Last time, we looked at some key characteristics of pocket gophers, a common species of yard rodents found throughout Santa Barbara. These pesky critters are some of the most destructive rodents because they are a burrowering rodent who dig large networks of tunnel systems underground. They favor people’s yards because of the soft soil and easy access to plant roots, garden vegetables, shrubs, nuts, and other sources of food. People have a few options when it comes to getting rid of these unwanted pests: setting gopher traps, poisoning them, or calling an expert pest control company like Gopher Patrol. 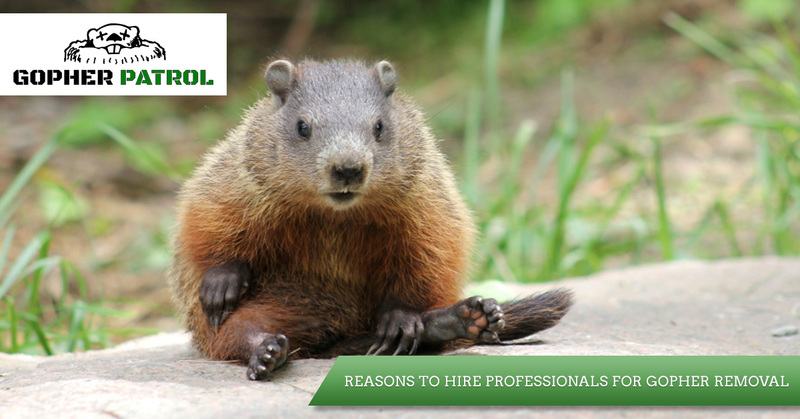 Let’s look at some of the reasons why calling the professionals is a much better option than attempting to get rid of gophers on your own. 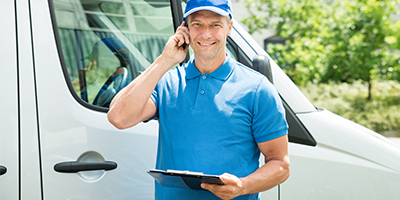 Professional pest control technicians have access to the latest and best pest control equipment to safely remove unwanted rodents from your yard. Sure, you can hop online and shop hundreds of gopher traps, gopher repellents, and ground spikes that promise to end your gopher problem; however, these products require a great deal of your time, effort, and patience in order for them to work. Gopher experts, like ourselves, have access to the best traps we place in the most effective location to trap them. As professionals, we understand that you want to get back to enjoying your backyard quickly, which is why we only use top-of-the-line equipment to help us solve your gopher problem efficiently and effectively. Gopher killer and other mass-produced poisons sold online and in hardware stores pose many health risks to people, pets, and the environment. What’s more, these products are not always 100 percent effective. Professional gopher exterminators have access to a variety of products and methods for getting rid of these rodents without the use of harmful chemicals. For instance, at Gopher Patrol, we offer three different methods for eradicating gophers from your property: baiting, trapping (which we discussed above), and the use of carbon monoxide. For baiting, we are able to inject grain directly into a gopher tunnel system as the most effective means for baiting. Our carbon monoxide treatment is not only highly-effective, but also a human and pet-friendly, poison-free alternative to those scary poisons sold in stores and online. One of the best reasons to hire a professional to get rid of gophers for you is because they have the experience and knowledge necessary for such an undertaking. Take our gopher removal team for instance. We have almost twenty years of experience baiting, trapping, and removing gophers from homes and businesses all over Southern California. We have tested different techniques and we’ve developed our craft so that we can efficiently remove gophers from your property. What’s more, we have the knowledge because it’s what we do day-in and day-out. We also have the patience required to find the gophers and safely remove them without causing damage to your property, family members, and pets. Finally, we genuinely care about the health and well-being of you and your loved ones, and we understand the mental and physical frustrations that having a gopher problem can cause. This is why we are wholly committed to providing our clients with the most effective solutions for gopher removal. If you have a gopher problem, don’t try to solve it on your own. 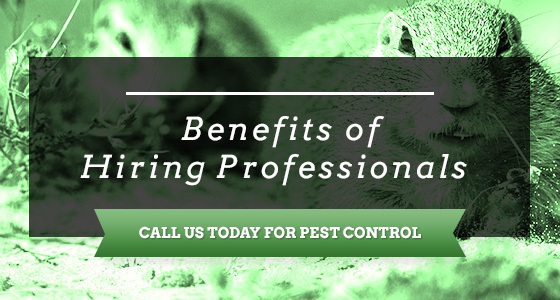 Give Gopher Patrol a call instead and let our pest control experts get rid of those harmful critters for you.